Lizzie Lee breaks Westport (and Ireland) parkrun record !! Well done to Lizzie Lee (leevale AC) who joined us on Sat and broke the Westport and IRELAND female course record !!!!!! 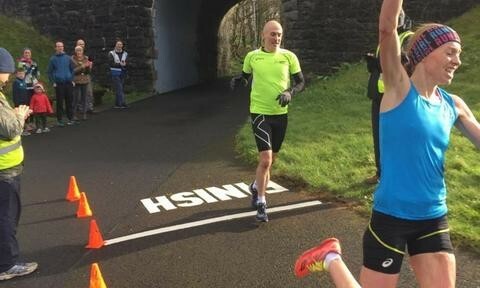 Lizzie is sister of Westport parkrun regular Tom lee and it is her second time breaking the Westport Parkrun record. WELL DONE LIZZIE --- FROM ALL AT WESTPORT PARKRUN !!!! !